It's time for Muse Challenge #253! I really hope to see you play along with me this week at Muse! So cute, Tracey!! And beautiful background! Oh, what a cutie he is! Beautiful watercoloring and I love your background! 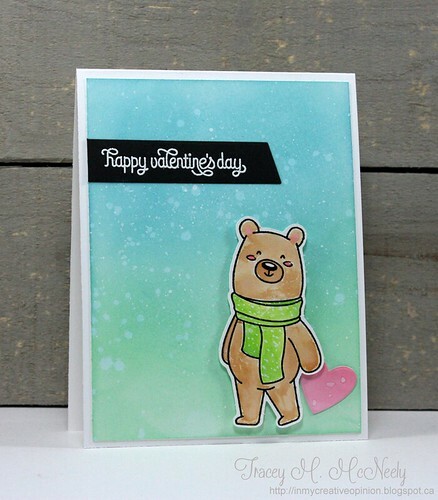 Really charming Valentine's Day card, Tracey! Beautiful card Tracey - thanks for the inspiration! Tracey... love your sweet card! On your materials list you have Copic Opaque white with a brush. I just discovered this product a couple weeks ago and love it... but I have a jar, a brush would have so nice! 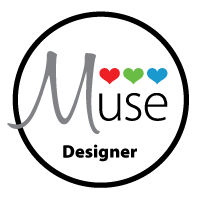 Excited to see you as the MUSE at MUSE! LOL! Of course I'm playing along! 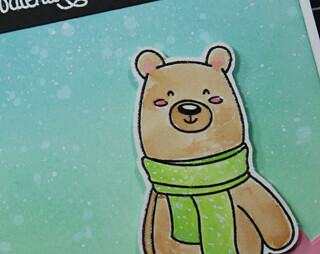 that little bear is so sweet! Love! Fabulous background Tracey, this is cute! aw, if this isn't one of the cutest Valentines!